Hey everyone! Syniax here with more randomness! This time it gets crazy. I use to think my backlog in my ps4 and ps3 section was getting out of hand and eventually I added in Xbox One. Now it has increased ten fold and it didn’t even cost that much! Sounded like a commercial here but I will explain. So sometime ago my wife got me a PS2 with Final Fantasy Dirge of Cerebus…. Hooked it up to the tv and started going ham… This didn’t really do much as far as my retro addiction goes but it sure was a start. Eventually I decided I wanted to own the original PS1… and so I did… after that I race to get 3 epic games right off the bat and surprisingly they were cheap. Final Fantasy VII VIII and IX. Eventually I got a few more games but the library of games for that system was crazy so in due time I will eventually complete my collection again for PS1. So eventually I was collecting random games for the PS1 and PS2 and it felt like I was putting myself together again. Long story short back when I use to live in Ocala, I use to actually own most consoles growing up. Nintendo, Sega, PS1, Original Gameboy. What happen was I had to stay in New York for a year not of my own choice and I left everything basically behind except my Gameboy Color…. Everything else burned down in a fire that started in my room with a short in the wall. Yep I was devastated to find out my prized possessions were gone instantly. 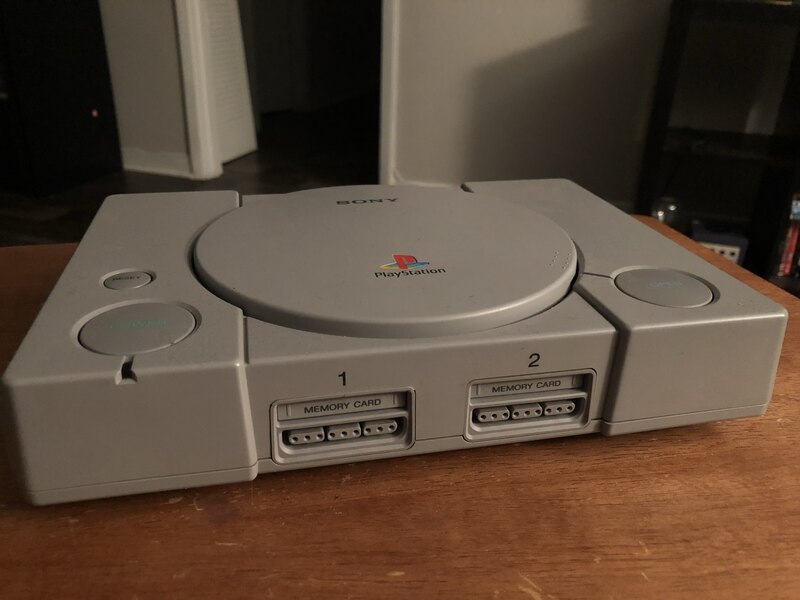 Of course I was happy that my family was good to go but yea… When I got back all I had was a PS1 I had got from my family in New York and my gameboy color. I don’t know what I did with the PS1 but that disappeared at some point. Moving on though! Next comes the part where the craze went in all thanks to my lovely wife. My wife one day decides she wants to treat herself. She deserves it. Hard working woman and always going through great lengths to make sure everything is on point at home and at work. So yea it was about time she actually treated herself to something. She got a samsung tablet. Pretty epic 10 inch tablet where she watches youtube in bed now. She also decided to treat me back to my childhood though that day. She got me the N64 (Which I have never owned… and Only played 2 games Zelda Ocarina of time and Majoras Mask) and the original 1989 Gameboy! The N64 came with no games but I was so happy to get one… so excited to get a game or two the next day! I even looked for recommendations online from my friends on facebook…. apparently everyone I know was playing N64. I was playing Counter Strike at the time. As for the gameboy I found my old copy of pokemon blue and started to play! The next day I went out and got some games for the n64 and went ham! Now I thought I was good for the time being… collect a few games that I really wanted to play back when N64 was going around… but my wife didn’t stop there. One day she decided to get me the Sega Genesis. Sega Genesis was pretty much my kid stage of life console along with Nintendo and Gameboy. PS1 I would say was my teen years and at some point I had a PS2 but not many games because I was addicted to the internets and mmo like games. Happy with the Sega I decided on building my library even further… my mission to collect pieces of my child hood and even pieces that I never got to experience for myself. This is when I found the Gamecube! Of course on our journeys we got other items such as Super Mario 64…(Never played) and Superman along with a gameboy color for my wife and Tetris. I will also complete Xenosaga Episode 1 2 and 3 in time. Anyways that’s what I’ve been doing with my time and I decided to reinvent my channel a bit to basically support these retro games. Its fun playing the new games from time after time but I really love the experience I have playing retro games. My channel saw more growth over time playing the old school resident evil games vs when I decided to play Destiny 2 which at the time was a popular game but of course the community I had didn’t want to see Destiny 2. They wanted more of the old school concept… Lost out on most my viewers because of it. I feel that I get a better response with retro and the community are better people overall. So I will continue to play retro and we shall see how this goes over time. Anyways I am out! Enjoy and always remain epic! 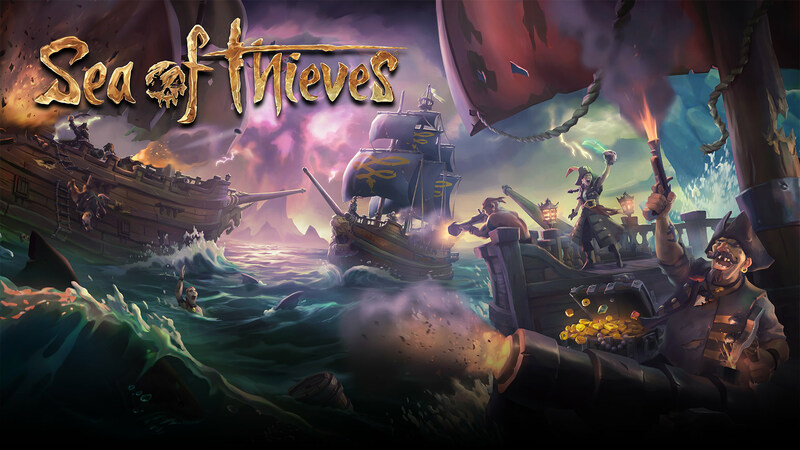 Sea of Thieves….10% of a game? Hey everyone! Been a bit since I’ve put my random thoughts on my blog about games so here I go again coming out of the shadows! So here we got the next exclusive game for Microsoft’s Xbox console. I was really excited about this new game coming out especially after they canceled Scale Bound. Xbox apparently hasn’t been doing too well in the exclusives department. They pretty much kept bringing games to the table that Playstation would bring so the battle between the both almost seemed pointless. Might as well just go for the system who has the bigger audience at this point or if you are civil , just go for the console you feel good about and have friends to play with. 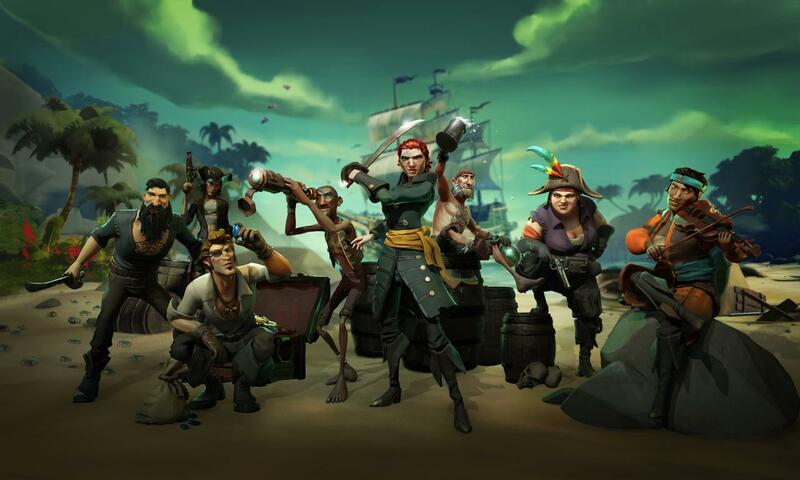 Sea of Thieves had a few beta trials and a closed beta session at one point. My friends and I managed to get into the stress test rounds of the closed beta. We actually did have some fun with the time we had getting on the ship and heading out for our first few quest. When the game came out we all grabbed gamepass to get our adventures going and we even had a crew of four in order to get the most out of our experience. What happens next… is just miserable. Of course we start off with the midnight login situation that some are familiar with games like FFXIV and World of Warcraft. Eventually we all get to log in and we get to the character selection section. The way they decided to go about this was that you have a wheel of pirates you get to choose from…. presets if you will. You select one of these pirates or hit the trigger button and you get to select from a new set of presets. For some odd reason they felt that we didn’t need a customization portion for the characters we wanted to invest time in. Instead select a preset and you are good to go. Took Badical some time…. and after that he wasn’t happen at what he got. I got mine in 2 resets and wish they could have done better. Eventually we select our characters and begin the questing. The questing was another issue all together. You go ahead to one of the factions and select from the 3 quest that are available to you. At the time we only knew about the Gold Faction so all 4 of us grabbed the same 3 quest and we headed out onto the ship. The concept of getting on the ship, voting for the mission and heading out was pretty well set. Eventually we all had roles in the ship like Badical steered the ship while I read the map and between Grim and Sky they messed around with look out and sails. We pretty much had everything figured out for the most part as far as getting to where we needed to go. We finally get to the land with our treasure… kill a few skeletons and grab the box and head out to the next island…. from island to island grabbing our treasure boxes. Eventually we got everything together and headed back. At one point we did run into an island and almost sank. Patched up the ship and we were ready to go. When we returned to the island outpost we went to turn in the quest and we got some gold and some ranks with the faction. It was all fun and games til that point. 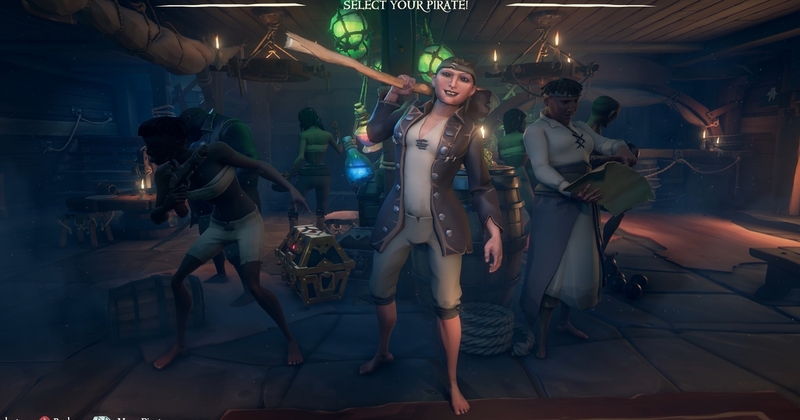 We all got paid the same for the most part but for some reason I still had the quest in my log along with my fellow pirates. Badical had his cleared out due to the fact that we basically did his missions. We actually had no way to delete the missions which is a huge negative… Took watching a video to figure out how to get rid of quest you already did with friends or quest you didn’t want in your log. After this bit we all decided it was a late night and logged off.. The next morning I decided to go on some solo missions my self to see the game for what it truly was and boy I was disappointed. 3 factions.. you do treasure hunts, bounties or gathering quest. After that you have really nothing else. Their progression system is basically all cosmetic with some ranks. They have 2 world events which is the hydra and the raid that happens on skeleton islands and that’s basically it. 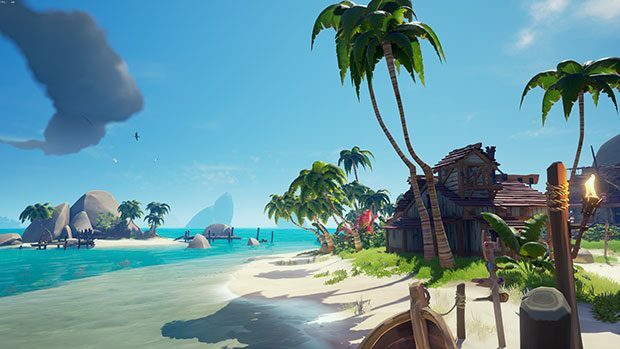 You can explore around see if you get lucky and find some randomness in the ocean or out on some random island but for the most part that is basically it. The game and its content is basically minimal at this point. They will add on more content later on but at this point its not worth 60 dollars. Better off paying for the gamepass and playing it through that. I had a feeling in the closed beta sessions that content was going to be and issue and I am glad I canceled my order for that game. Don’t get me wrong. If you got a good group of people you can do multiplayer games with this might be alot of fun for that group and getting into all types of randomness.. But for content and being apart of something you want to major in… don’t waste your time. You got Far Cry 5 with Co OP and A away out coming out soon and that is more worth your dime…. Enjoy my opinions or don’t have a nice day! Always remain epic! Boss Battle Videos continues with this new installment of Monster Hunter World… first video up will be vs Jagras. Some videos might contain friends or randoms. We shall see how it will go. This video is going to be a music video at this point. Let me know what you think! Anyways the Dark Souls videos are being put on hold for a bit til my brother in law gets his Playstation so we can continue that adventure. Alright remember to drop a thumbs up if you like the video. Support is def appreciated. Got a new series up in the mix and going to try to stick with this one this time… We shall see. Anyways its a Speed Walking Series. Where I and possibly friends will get together with games and try to finish them in a reasonable time. Starting the series with Dark Souls 3… Here is the first episode!